If You Were a Tree Who Wanted a College Scholarship, What Would You Write? It used to be that the smartest kid in the class was always the one who got the college scholarship. It’s not that way anymore. This is a good thing for the average student and for the creative one who hits a bump in the road that torpedoes a stellar GPA. Today’s awards are about more than good grades. They’re about providing opportunities for students who are the right fit for a school or a program. These are the students that scholarship committees want to reach. 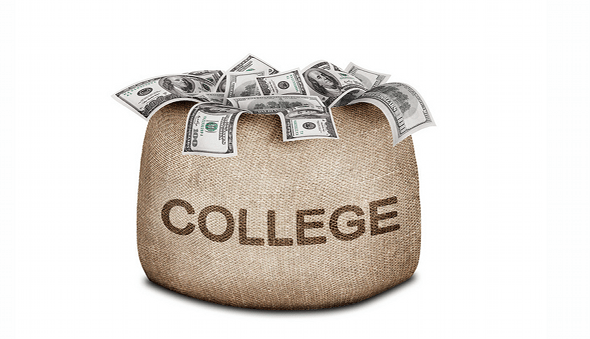 Finding a winner for college scholarships and financial awards can be difficult. That’s why some schools and organizations are upping the stakes with their scholarship essays. The essay has long been a companion to the scholarship application, but it’s no longer just a way to judge who has better spelling and punctuation. It’s about who has greater creativity and zest for life. That’s why committees are replacing the boilerplate question of “Why do you deserve our college scholarship” with questions like “If you were a tree, what kind of tree would you be and why.” Scholarship committees want to see the creativity, the wit, the thought and the drive in the next generation of graduates. Questions that are a little off the wall can narrow down the competitive field pretty quickly. Some kids will no doubt shy away and head back to the scholarships with the easy questions – or the applications with no essay question at all. Think of all the money you would be saving if your child would take a stab at it. When it’s time for your college-student-to-be to start working on scholarship applications that could save you thousands of dollars in college tuition, you’ll want to pass on some sage advice. This is it: Don’t shy away from the college scholarships that have questions on the wacky side. Meet them with enthusiasm. Here’s how. When it comes to strange essay questions on the scholarship application, let your creativity shine. Use your imagination to come up with an original answer. If the answer doesn’t come to you right away, take some time to ponder it. Have fun with it. Boring won’t win. Scholarship committees want to reward the students that best fit their molds, whether it’s for nursing scholarships or engineering or their cultural background. Remember, you don’t have to be perfect. Just be yourself. It’s easy to get caught up in the idea of what the question really means, especially if it’s an obscure topic. A safe way to start or finish the essay is to repeat the question in part of the answer. For example, “If I was a tree, I would be a loblolly pine.” Go on to explain why. As much as oddball questions are asked so the committee can learn more about personalities and future goals, there is also a practical side. Essay questions are also designed to see who can communicate well under a specific set of circumstances. Double check your word count and proofread your work carefully before you send it off with the rest of your application. Think of it as more than writing an essay; think of it as a ticket to an education. Nicole is an independent writer for CollegeAnswer.com. College Answer offers information on saving, planning and paying for college.